Individuals have the right to file a municipal liability claim for damages when negligent actions on the part of a municipality result in injury. In claims against Ontario municipalities, accident victims must submit notice of their personal injury claim to the municipality within 10 days of their accident, unless they have a strong reason for delaying the claim such as in the case of a death or extended hospital stay. Therefore, if you are considering suing a municipality for injuries that occurred due to their likely negligence, it is important to consult with a personal injury lawyer as soon as possible. Until the late 1970’s and 1980’s, Canadians did not have the ability to sue the government, even in cases of accidental or intentional negligence. That has since changed however, with all ten provinces passing legislation that has left the government and municipalities vulnerable to liability suits when the public is injured by or on property under government jurisdiction. However, to ensure that the government can still be able to govern without fear of a civil suit from any individual, there are some exemptions as to what they can be sued for. The landmark Supreme Court of Canada decision in Just v. British Colombia distinguished policy decisions, which are exempt from liability. Judicial government statements and actions are also exempt. And that is the crux of municipal liability – that is, the government is providing certain services to the public and as is the case when individuals use a service, there is a duty of care expected on the provider’s part. When that expectation is not met and an individual is hurt and/or injured because of it, the provider is liable, which in the case of public services, means the municipality or another government body. Municipal liability incidents may occur on streets, highways, sidewalks, public transportation, in government buildings and in public parks. The most common municipal accidents are slip, trip and fall accidents, which may result from: icy or wet roads or pathways, spills that are not cleaned up, improper flooring, and broken sidewalks and roadways. Another common source of injury on municipal property is recreational facilities such as swimming facilities, parks and sports arenas. Although sports and water-based activities are generally more vulnerable to injury, municipalities can be held liable when injuries result because the municipality failed to take all reasonable steps to keep users safe. A man suffered an injury to his eye in a Thunder Bay hockey arena when the blade of a hockey stick poked partially through the mesh fence surrounding the ice. In Carson v. City of Thunder Bay, 1985, the City of Thunder Bay was found in breach of duty under the Occupiers’ Liability Act for failing to either warn people of the danger of standing too close to the mesh or installing a tighter mesh. In this case, liability was split between the City and the injured man who was contributorily negligent for failing to notice the potential danger and keeping himself safe. Car accidents commonly occur on municipal roads and provincial highways and in most cases, they result from driver error or carelessness. Specifically, speeding, distracted driving and driving under the influence of alcohol are the leading causes of car accidents. However, sometimes car accidents occur not through the negligence of the driver but due to poor road conditions and in those cases, the municipality may be liable. Missing or Inappropriate Road Signs – Missing or inappropriate road signs can be very dangerous as drivers may not know when to stop, turn, slow down, and so on, and this can create unsafe conditions leading to car accidents. Sometimes trees or shrubs grow in front of road signs, particularly in rural areas, but municipalities should identify such problems in regular inspections to ensure that the public is not placed at risk. Broken Traffic Lights – Similarly, broken traffic lights can also create confusion and chaos in terms of which vehicles have the right of way, which can lead to car accidents. Ice or Snow -- Municipalities are responsible for treating icy road conditions and removing snow in a timely manner to prevent injury to road users. The more heavily used a road, the more frequently it must be inspected and cleared. If there was a failure to attend to a dangerous road condition when the municipality ought to have known the hazard existed (for example, due to forecasts of snow and freezing temperatures), then the municipality may be held liable for car accidents and injuries that result. Missing Guardrails – In particular, this may result in single vehicle accidents if a car pulls over too close to the edge of a road with a steep drop, or drives over the edge during slippery or icy road conditions. Unrepaired Potholes – These often lead to tire damage and sometimes tire blowouts which can cause the driver to lose control of the car and collide with other vehicles. Uneven Roads/Pavements – Like unrepaired potholes, uneven roads and pavements can lead to tire blowouts, which can lead to loss of control of the vehicle and ultimately cause accidents. Uneven roads and pavements can also be a cause of rollover accidents. Debris on Roads/Highways – This typically includes objects like fallen trees, branches, poles and debris dropped from vehicles. Most debris results from storms or extreme weather conditions. A municipality or government body that has jurisdiction over a particular road or highway is responsible for cleaning up debris in reasonable time. 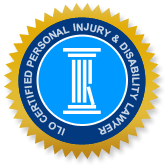 If they fail to do so and an accident occurs as a result, the injured person may be eligible to make a claim for damages resulting from their accident. A municipality or another government body may also be liable if an individual is injured in a crash caused by a municipal or government employee while on the job. Examples of vehicles that are sometimes involved in such collisions include: public transit vehicles, police cars, postal trucks, snow plows and road cleaners. In Shepard v. Sanderson & Govt of PEI, 2012, the snow plow operator and the Government of PEI were found negligent in causing injuries to a woman after she was struck by heavy snow that was pushed onto her by the snow plow. At the time of the accident, the woman was clearing her driveway with a snow blower and thus did not hear the plow approaching. At trial, it was alleged that the impact of the heavy snow was sufficient to break a four-by-four post. Another snow plow collision occurred in Peterborough in January 2011, causing catastrophic injuries to a passenger in the front seat when the vehicle in which she was travelling rear-ended a disabled snow plow. Amy West, the injured passenger sustained multiple fractures and a severe brain injury which left her unable to perform vital functions such as eating and speaking; Ms. West will require 24 hour care for the rest of her life as a result of her brain injury. The accident occurred when a County of Peterborough snow plow ruptured a coolant hose then suddenly lost electrical power resulting in the hazard lights to cease flashing. Shortly after this mechanical failure, the car in which Ms. West was travelling struck the rear of the disabled truck. Ms. West’s parents settled an accident benefits claim against their insurance company in 2012 for $1.4 Million and have also initiated a negligence suit against the snow plow driver and County of Peterborough for additional damages. The accident victim in any municipal liability case must prove their injury is a direct result of municipal negligence, which may be related to the design, construction or maintenance of a public building, property or service. The Ontario Municipal Act defines a municipality’s obligations pertaining to the services and infrastructure under their jurisdiction, including its responsibilities for road, bridge and sidewalk maintenance. One of the strongest arguments for negligence can be made if the government body did not have a process in place for inspecting and fixing potentially unsafe situations, and this failure led to the source of injury. In the case of injuries resulting from a dangerous condition on a sidewalk, there is a higher burden of proof on the injured person to show that there was ‘gross negligence’ on the part of the municipality that caused their injury, than in the case of accidents on roadways. Gross negligence means that there was a blatant breach in the duty of care. Municipalities can be held liable for slips and falls or other accidents on sidewalks resulting from gross negligence. However, due to the large number of sidewalks under their jurisdiction, municipalities are not expected to keep sidewalks clear of ice or other potentially unsafe conditions at all times. In Dorschell v. City of Cambridge, 1980, the City of Cambridge was found negligent, on Appeal, in causing Ms. Dorschell’s injuries when she slipped and fell on an icy sidewalk. The slip and fall occurred at around 9 a.m. on an icy sidewalk that resulted from a rainstorm the night before, followed by freezing temperatures. Ms. Dorschell was walking with caution and wearing appropriate footwear for the weather conditions. In the original trial, Ms. Dorschell’s action against the City was dismissed on the ground that, even if the City had a procedure in place for clearing ice and snow on its sidewalks, there was insufficient time to rectify the unsafe condition before the slip and fall happened. However, the Appeal judge found the City of Cambridge ‘grossly negligent’ due to the fact that it had no policy whatsoever in place for dealing with dangerous snow or ice conditions. If these dangerous icy conditions had remained on a well-travelled Cambridge sidewalk for many days or on a sloped sidewalk for any amount of time, the City would have done nothing to rectify the situation. For this reason, the conclusion at trial was that the City was in breach of its statutory duty. Accidents resulting from unsafe conditions can be very serious and may result in catastrophic injuries and occasionally, in death. The most frequently occurring injuries are sprains, bruises, fractured bones, contusions, concussions, spinal injuries, soft tissue injuries and brain injuries. In many cases, such injuries are permanent and can cause a victim pain for the rest of their lives. Serious injuries typically have a substantial impact on the life of an accident victim as well as family members who commonly take on additional supportive roles within the family. The burden of lost income, medical expenses, attendant care expenses and other financial losses place real strain in the lives of entire families. The Injury Lawyers of Ontario (ILO) law group are experts in municipal liability claims associated with any type of accident occurring on government administered premises. If you were injured due to municipal negligence, you may be entitled to compensation for medical and rehabilitation expenses, lost income, pain and suffering, family benefits and other expenses. An experienced ILO lawyer will get the facts of your case and give you an honest assessment of the strength of your case and the likely settlement that you can expect to receive. If you or someone you love has been injured due to municipal negligence, do not hesitate to call or visit an ILO office in your community.